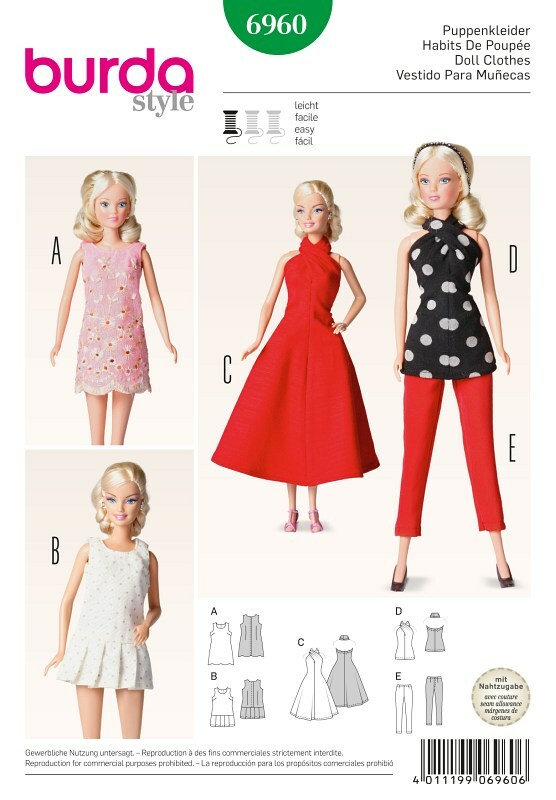 Sure you will score with these garments, dolls moms will love them! AB: either chic from lace fabrics or sporty with pleated skirt. Dress C and shirt D with striking halter-neck closure. E: slender pants matching shirt D. All pieces are easy to put on and take off. A also lace fabric with scallop edge.